Many homeowners think that they can clean-up smoke damage to their home after it has been burned in a fire. Unfortunately, that is never a good idea. Cleaning up smoke and soot damage requires professionals to do the job. First off, a house that has been burned in a fire is typically not safe to enter or spend time in. The integrity of walls and floors may have been damaged, along with other hazards. It’s important not to enter the home until professionals tell you it is safe to do so. While you should not undertake trying to clean up smoke and soot damage from a house fire yourself, you should get the professionals into your as soon as possible. Ash and smoke, if left untreated, will cause corrosion, discoloration and a lingering powerful and offensive odor. Ash, specifically, will start causing damage and discoloration almost immediately and the damage may be permanent and irreversible. Anything that was made of plastic will begin discoloring within minutes. Metals will easily tarnish and corrode, and fiberglass will begin to yellow. If you get fire damage restoration professionals in soon enough after a house fire, they can mitigate or eliminate the smoke and ash damage from the fire and prevent further damage to your property. Unfortunately, if you don’t get the pros in early, the damage becomes worse and worse and the costs to repair will begin to skyrocket within just a few weeks! 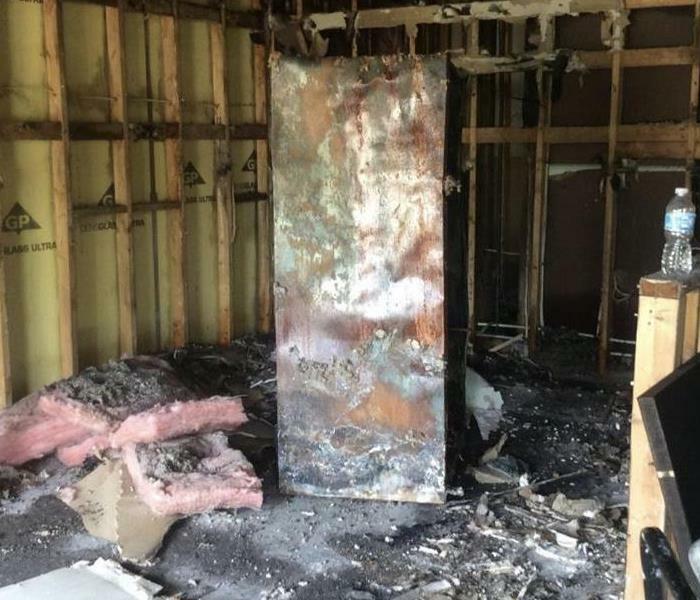 Many companies claim to be fire damage restoration specialists, but they may not actually have the proper training and certification to do the job. The Institute of Inspection Cleaning and Restoration Certification (IICRC) is the primary oversight agency for the industry. Companies recognized, registered and certified by the IICRC will have taken extensive coursework to earn their certification. A trained and certified fire damage restoration professional will first identify all affected materials and the source of odors, if possible. They will be extremely thorough. They will identify what can be salvaged and cleaned and what cannot be and must be completely replaced. They will then begin the clean-up process by removing built-up ash residue. Once the ash is cleaned, they can better identify the sources of odors, which they will treat with special detergents made to neutralize the odors. Once fire damaged materials are treated, they will be sealed to prevent future odors from emitting into your home. If you or anyone you know is in need of smoke or fire damage restoration services. Any water damage in your home is bad. But trying to clean it up yourself can be a disaster. Especially when the water you don't see contains bacteria-or cause mold, rot and other unseen damage that can affect the value of your home. So before you risk your health or the valve of your home by cleaning it up yourself. #1: The restoration process begins when you call us. Our representative will guide you through the crisis and may ask several questions to help us better understand the equipment and resources. #2: We determine the scope of your water damage at this stage. We inspect and test to determine the extent of damage and how far the moisture has traveled to ensure proper and complete restoration. #3: The water removal process begins almost immediately and removes the majority of the water. We use powerful pumps and vacuum units to quickly remove hundreds or thousands of gallons from your property, which helps prevent secondary water damage and mold growth. #4: We use specialized equipment to remove the remaining water that is harder to access. Our Professionals will use room measurements, temperature, and relative humidity to determine the optimal number of air movers and dehumidifiers needed to dry your home or business. #5: We clean all of the restorable items and structures damaged by the water. We are adept at cleaning contents using a number of techniques. Our professionals are trained to provide sanitizing treatments and to remove odors and deodorize your property. #6: Restoration is the process of restoring your home or business to its pre-water damage condition. Restoration may involve minor repairs, such as replacing drywall and installing new carpet, or may entail major repairs, such as the reconstruction of various areas or rooms in a home or business. Every water damage event is a little different and requires a unique solution, but the general process stays the same. So, before you risk further damaging the value of your home or facility by attempting to clean up the mess yourself, call your local SERVPRO. Have Questions about Basement Flooding? If flood water is not handled quickly and properly, it can jeopardize your health and safety, and cause severe damage to your home’s structure. Remember, the longer you wait, the worse the problem will get. The bottom line: a flooded basement can jeopardize your health, safety, and your home’s integrity. It’s worth making a call to SERVPRO of Port Jefferson and let our trained, professional crews handle the situation safely and correctly. We have earned the trust of hundreds of homeowners, business owners, and property professionals. You know how much you paid for that new TV; same for your computer. But what about those plastic bins of toys you keep under the stairs? Your collection of antique china? That expensive woodworking equipment? You might have already taken stock of the big things, but in an emergency, could you do a mental household inventory list and name all your valuables? That's why it's important to do a home inventory. For peace of mind, and for insurance purposes, a home inventory is just a smart move. It can help you decide how much and what type of homeowners' insurance to buy, speed up the claims process, and help verify losses for your income tax return. Where do you start? READ ON! First of all, you'll need to get organized. You'll want to document things like the insides of your tool boxes and closets; start a household inventory list. Tidy up; it's easier to see what you have if your possessions aren't in piles on the floor of your closet or crumpled up in a junk drawer. Before you start making your home inventory list, plan your starting point. Map your course through your household and move room to room methodically. By plotting your course in advance, you're saving yourself time and also decreasing your chances of missing important inventory items. For an insurance home inventory, remember to include your attic, garage, and even detached structures (like your shed). How you document your household inventory is important. Photography is your friend; go from room to room, taking pictures (or even video, provided you narrate!) as you go. Make special note of your most valuable items (jewelry, antiques, electronics) and where you keep them. It's also helpful to keep receipts and to note the serial numbers for your gadgets. What type of items do you include on your household inventory list? What details do you include about the items on your household inventory list? You'll be tempted to keep the inventory list in your home, but that's definitely not the safest place. Create a private album on an online site like Flickr or on the Cloud, and label it "Home Inventory." Print your inventory and keep it in a safety deposit box. Whatever you do, don't keep your only record of your possessions on your property. Whenever you make a big purchase, or even just every couple of years, reevaluate. This is also a good excuse to de-clutter as you go. Remember, an out-of-date home inventory could hold up the claims process at a time when that's the last thing you need. It’s time to spring forward! As people TURN their clocks forward one hour, the American Red Cross reminds everyone to TEST their smoke alarms. Check smoke alarms and replace batteries if needed. Working smoke alarms cut the risk of dying in a home fire by half. Test smoke alarms once a month. Change the batteries at least once a year, if your model requires it. Place smoke alarms on every level of your home, including inside and outside bedrooms, and sleeping areas. Create and practice your home fire escape plan. Fire experts agree that people may have as little as two minutes to escape a burning home before it’s too late. This weekend, create a home fire escape plan with your household and practice it until everyone can escape in less than two minutes. Escape plans should include at least two ways to escape from every room and a meeting spot at a safe distance away from your home, such as your neighbor’s home or landmark like a specific tree in your front yard, where everyone knows where to meet. Each year, the Red Cross responds to more than 62,000 disasters—the vast majority of which are home fires. Every day, seven people die in home fires, and most tragedies occur in homes without working smoke alarms. That’s why the Red Cross launched the Home Fire Campaign with community partners in 2014 to reduce needless deaths and injuries. People can visit redcross.org/homefires for free resources and to learn more about how to protect themselves and their loved homes from fire, or contact their local Red Cross to find out about smoke alarm installation events in their community. Any Wickliffe homeowner who is unfortunate enough to face a house fire of any size knows that the lingering smell of soot is unpleasant. We at SERVPRO see this all the time in our work – even after restoration is complete and the affected area is thoroughly cleaned, the smell of soot often lingers and is very distressing for homeowners. In some cases, the best way to remove smoke smells after fire damage is utilizing a piece of equipment called an ozone machine. Ozone machines are odor removal powerhouses. They are capable of removing even pungent soot odors and making a home smell fresh and clean once more. There is only one drawback of ozone machines, and that is that we cannot use them in places where there are people, plants or pets. That means that they are not suitable for use in fire restoration situations where you are still living in your home during cleaning. However, if you have to move out for a few days during restoration, ozone is an ideal solution for post-fire smells. Ozone is a naturally occurring gas. Ozone occurs after lightning strikes or during thunderstorms and is responsible for the fresh, clean smell you notice in the air after a storm passes. Ozone is also known as nature’s deodorizer due to its ability to remove unpleasant smells. SERVPRO of Western Lake County uses it in fire restoration situations because it has a powerful deodorizing effect on lingering soot smells. How does ozone act as a deodorizer? It is a straightforward process. Ozone is an unstable molecule, and it reacts quickly to other molecules when it comes into contact with them. The extra oxygen atom in the ozone binds to odor particles and destroys them. This chemical reaction takes the molecules apart and thus gets rid of the smell. We train our certified technicians to apply ozone with due care and attention. We properly contain the affected area, and our team knows just how much ozone to apply for maximum effect. Because ozone has a short life, your home is safe to inhabit very soon after the treatment is complete. For situations where it seems impossible to get rid of that lingering smell, ozone is a powerful solution. For help dealing with the cleanup after a fire, call SERVPRO of Western Lake County for help. You have a lot to worry about when your Willoughby home is awash with water. Your biggest worry is probably how to extract the water and dry the soaked contents. Contamination is probably the last thing in your mind unless the flooding is from sewage back up or storm water. You are not alone in this line of thinking as most people only realize there is contamination at the very late stages of the restoration. So, how can you eliminate contamination through the steps taken during restoration? The level of contamination in cases ofwater damage depends on the kind of water that causes flooding. At SERVPRO, we follow industrial standards that identify three types of water that floods properties. These types are black, grey and clean water and the contamination levels are highest in black water and lowest or nonexistent in clean water. Even potable drinking water can degrade to gray or black water if left unattended. In addition to identifying the water type, our SERVPRO technicians also consider the materials affected by the water. If there was a carpet affected by clean or grey water, we treat it on both sides with an EPA-registered disinfectant. We also use the same disinfectant on the floor after extracting the water. This minimizes chances of further contamination. Any upholstery in the affected area might also be contaminated. Unlike the carpet, which is easier to clean, upholstery has different nooks and crannies, so it requires special attention. Using tools such as ULV foggers, our team can administer the disinfectant in the form of a mist to reach and remove contaminants even in hidden parts of any upholstery item. Generally, we can group furnishings in a containment chamber for large disinfecting efforts. Cleanliness is a relative state that depends on the percentage of contaminants eliminated. Properties can achieve four different levels of cleanliness depending on the effort put. From the dirty state, cleaning can change the property to sanitary or disinfected. 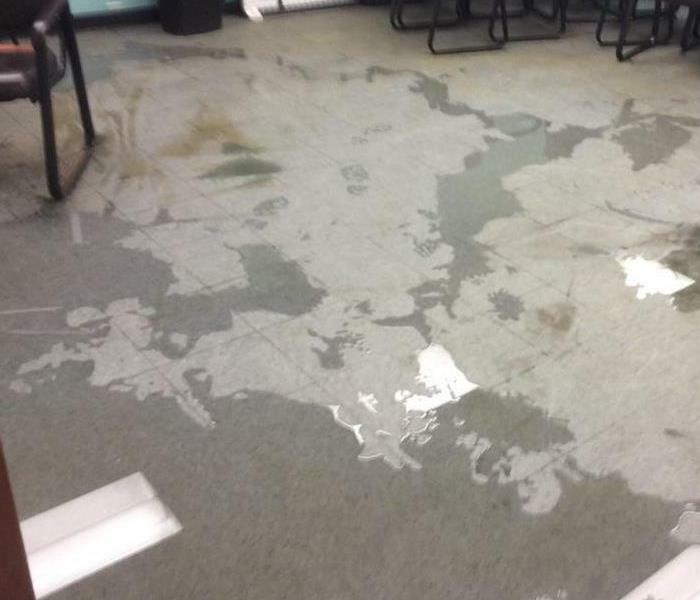 This recovery from a water loss is the states that SERVPRO technicians can achieve. Sterile conditions are beyond our scope and service. These environments are needed in hospitals, labs, and other such structures. Reaching a sanitary state is the goal of most restoration processes. Our SERVPRO certified technicians extract the water, vacuum and deodorize any affected areas ensuring they attain sanitary conditions. Calling SERVPRO of Western Lake County eases the restoration process. Floods often cause hellacious damage to your home, leaving you with a huge mess to clean up after a major event. Many of you simply do not have the time or experience to correct all of the issues yourselves, which makes hiring a professional restoration company much more valuable. A certified flood damage restoration company like ourselves can provide you with access to equipment, resources, and personnel along with the time and experience necessary to handle every aspect of the damage found on your property. Everything from flooded carpet to broken furniture requires particular attention, not to mention the amount of time it takes to dry structural materials properly. You do not need to contact several companies, wasting time scheduling, postponing, or even canceling services on moments notice. SERVPRO makes it possible for homeowners to get all of the help they need by calling a single company. We handle all of the scheduling and provide you with a time frame estimate after performing our full inspection. Our supervising technician keeps you updated on every aspect of your restoration from start to finish. If you are looking for a restoration company you can trust to perform quality flood damage services on your property, look no further. We take care of your home, protect it from the elements and unwanted intrusion through our roof tarp and board up services. SERVPRO relocates the contents of your home to a safe, dry location and gives each item the attention it deserves. SERVPRO technicians take their jobs very seriously and are proud to be your choice to provide restoration services in your home. We understand how important your home is and make every effort to save as much of your property as possible while providing you with the best possible service. With advances in cleaning and restoration today, flood waters cannot hide. We use infared moisture detectors, hygrometers, water extractors of all shapes and sizes to reach every area in your home. Even those pesky hard to reach areas that often expose your home to hidden dangers that develop over time. 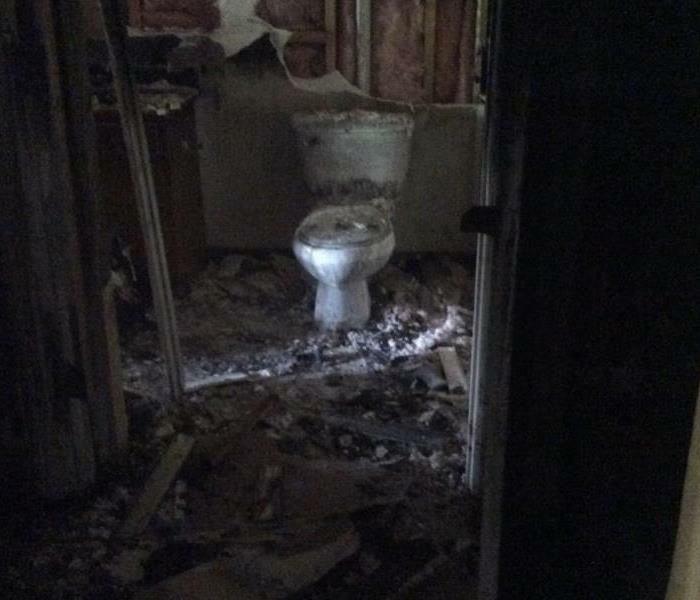 Fires inside the home can be a terrifying ordeal. Flames, smoke, and ash can destroy many of your personal belongings and can also damage floors, carpets, and furniture inside the house. Once firefighters extinguish fires, dirt, debris, and strong smoke odors can remain inside the structure. We’re Faster to Any Size Disaster, which is why calling us can be helpful. SERVPRO of Western Lake County professional fire damage teams are certified and can restore your house if possible. The techs may employ fans, and top-grade air scrubbing and fogging equipment to eliminate heavy smoke odors fast. Plus, the crew can use industrial cleaning products to remove ash, soot, and debris from the affected surfaces such as your ceilings, counter-tops, walls, and floors. The team may also apply odor removal deodorants to remove smoke odors from materials affected by the flames such as upholstery, curtains, and carpeting. In some cases, we may need to utilize portable ozone machine to get rid of offensive and lingering smoke odors. Ozone machines use activated oxygen to neutralize and eliminate strong smells and to purify the atmosphere inside the structure. If we employ this type of equipment, all occupants and any pets inside the structure must leave the house until the job is complete due to the strong chemicals. You can rely on us to make sure the air quality inside your home is safe when you return. If necessary, the team can perform minor repairs to secure the structure such as boarding a window or door or covering and sealing a hole in the roof. Securing the home can help prevent human and wildlife intruders from invading your house. If significant repairs are necessary, SERVPRO we can do the repairs and restoration as well. The crew can also remove burned or charred contents from the structure like carpeting, tables, chairs, clothing, and drapes. The technicians can clean, sanitize and store any materials they remove from the house and keep them in a safe storage area on or off-site until the job is complete. SERVPRO of Western Lake County offers fast and reliable fire damage restoration that can return your home to its preloss condition. Contact us at 440-975-9585 any time of the day or night. We are close by and here to help. Call SERVPRO of Western Lake County at 440-975-9585, if you've had a fire or would like to know how we can help in the event you do.